Russian convicts will be sent to prisons on shorter terms | Russian Legal Information Agency (RAPSI). 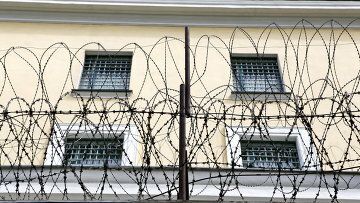 ST. PETERSBURG, May 15 (RAPSI) – Prison sentences will be shorter than sentences served in penal colonies, but it will not be an easy ride, Justice Minister Alexander Konovalov said at a briefing on Wednesday, ahead of an international legal forum. Russia is reforming its criminal and penal system, including converting its penal colonies to prisons. New prisons are to be built to international standards and some penal colonies will be restructured. The minister said that a prison sentence is traditionally considered more severe than a sentence served in a penal colony in Russia. “One of the issues we will need to address is the balance between prison and penal colony sentences, because both these institutions will be running during the initial stage of the reforms,” Konovalov said. He noted that the problem could be resolved by handing down shorter prison sentences compared to penal colony sentences. The minister said that the average prison sentence in most countries with a respected legal system is around six months. 14:08 15/05/2013 Prison sentences will be shorter than sentences served in penal colonies, but it will not be an easy ride, Justice Minister Alexander Konovalov said at a briefing on Wednesday.